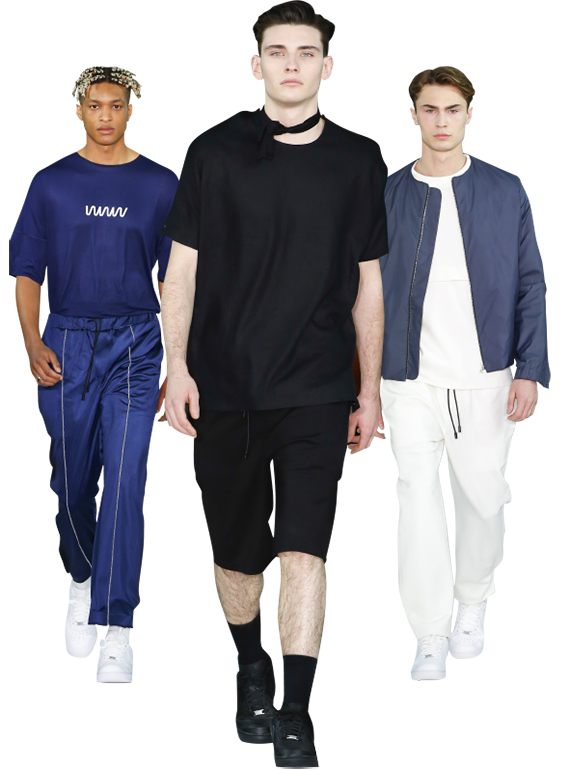 New kid on the block Tinie Tempah, most commonly known as a popular singer/songwriter, A/W17 saw his ever-expanding talents with the launch of his new menswear brand; What We Wear. Two years in the making, this contemporary collection, was influenced with his long-standing interest in fashion, a regular on the LFW FROW, as well as inspiration ‘from by the wardrobe of the everyday man.’ While the collection was handmade in London, inspiration has been drawn from different cultures, design and architecture around the world. International Artistic Director Charlie Cullen worked backstage, the hair took its cue from the collection, but the key was to use the models natural texture, embracing their personality and individuality whilst incorporating an ‘everyday’ feel into the final look. 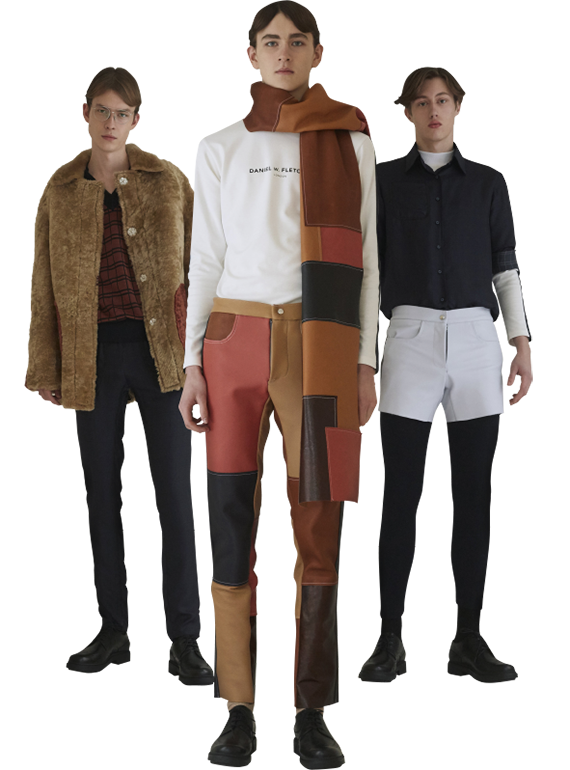 For his second collection, Daniel W Fletcher drew upon the social landscape of 2016 and that of the 70s, both of which were experiencing unrest and the youth desperate to be seen as individuals. As we embark on a new yea, Daniels aim was to spread a message of positivity through his clothes and have his voice heard. Following Daniels vision, International Artistic Director Danielle De Angelis and the team created a style that harkened the 70s where hair wasn’t too polished or stylised. Using the model’s natural hair texture, the team created easy, soft, feathered look. 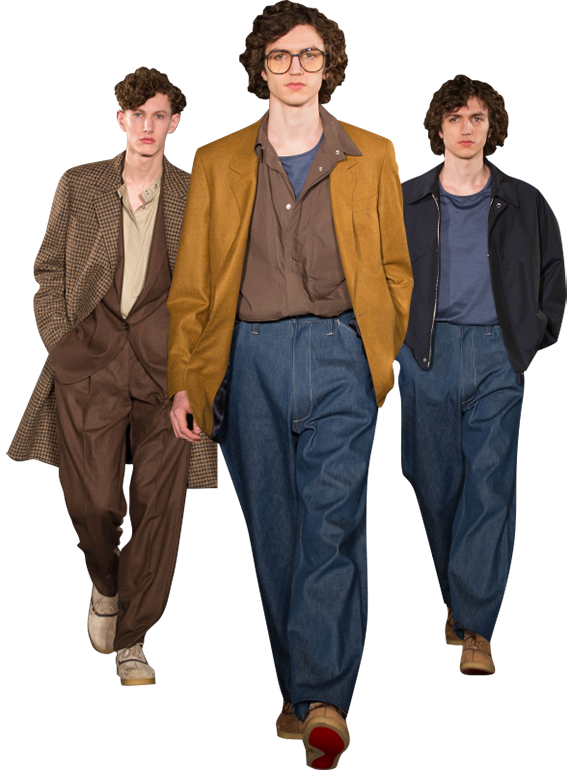 For his latest collection, Creative Director, Patrick Grant drew inspiration from Peter Mitchell’s ‘Some Thing means Everything to Somebody’ photography series, which featured images of scarecrows isolated in fields across the UK. The collection captured the loose and dishevelled nature of these scare-crow images, featuring baggy trousers and loose fitted shirts. 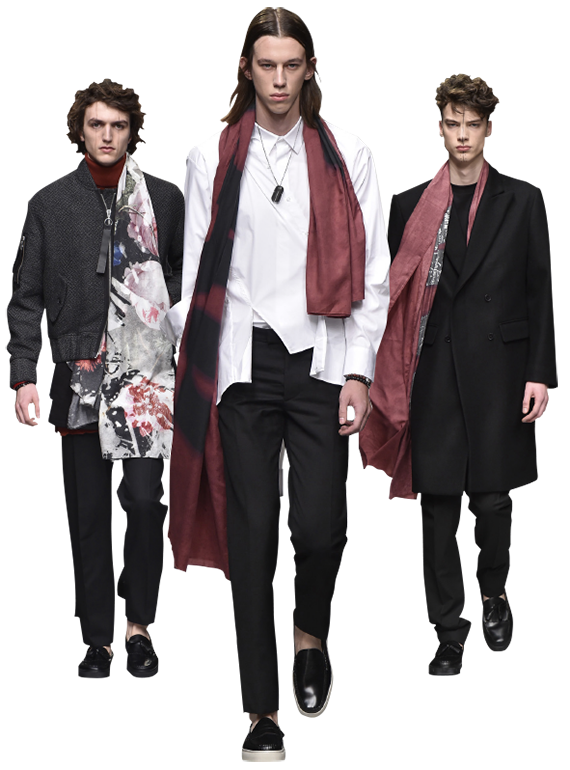 The hair seen at Matthew Miller follows on from his concept of dysfunctionality within society, the idea of moving from old to new, which was illustrated by separate looks. International Artistic Director Chie Sato worked on a clean, graphic look leading into the final look, which was soft and dishevelled. The modern Savile Row brand revealed its AW17 collection at Smith and Wollensky. In previous seasons, the English tailoring specialists launched designs around ‘Garden Party’ and ‘Red Carpet’ themes. This season was all about the ‘After Party’, six friends coming together after separate evening out, which allowed for a variety of looks to be presented. 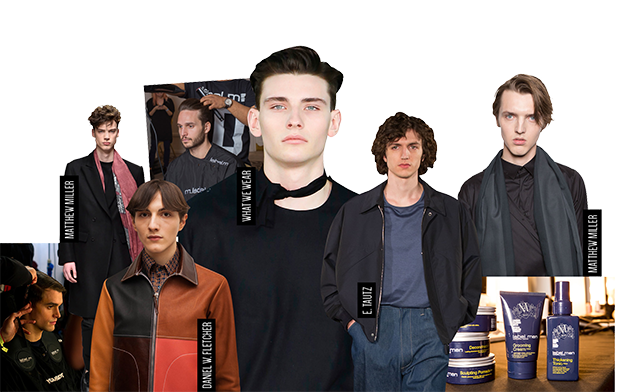 International Artistic Director Phillipp Haug and the Session Team, took inspiration from the after-party idea, friends coming together from separate nights out, modelling very separate looks, whether it is neat and sleek, or more loose and natural vibe. 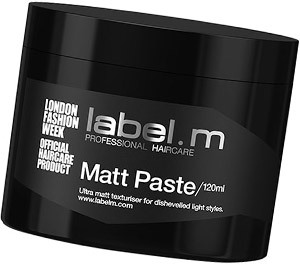 label.m Matt Paste creates an individual edgy matt texture. Malachite, Rhodocrosite and Oxokerite minerals actively detoxify and protect hair. Contains the exclusive Enviroshield Complex which shields against UV rays. Work a small amount into damp or dry hair and work into shape. label.m Volume Mousse is the Big Hair must-have to allow you to create even bigger, bolder and more expressive looks. Brilliant for volumatic lift at the root, it provides a distinct, edge-driven texture. Spray on damp hair, working through from roots to ends with a comb or fingers. Blow dry for volume and texture. Washes out easily. 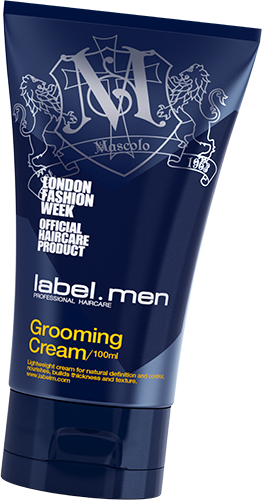 label.m Hairspray contains pro-vitamin B5, UV protection and naturally derived conditioners to protect, hold and gloss. Directions: Shake well. Spray approximately 30cm from your hair where styles need hold. Use on dry hair. Easy to brush and wash out. 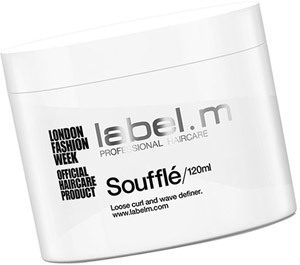 label.m Souffle nourishing protective mix of Avocado, Barbados Cherry and Olive creates loose, glossy waves or instant volume. The innovative Enviroshield Complex, exclusive to label.m, shields against heat styling and UV rays, boosting shine. Apply with fingertips to damp or dry hair and blow dry. Reapply for added definition.